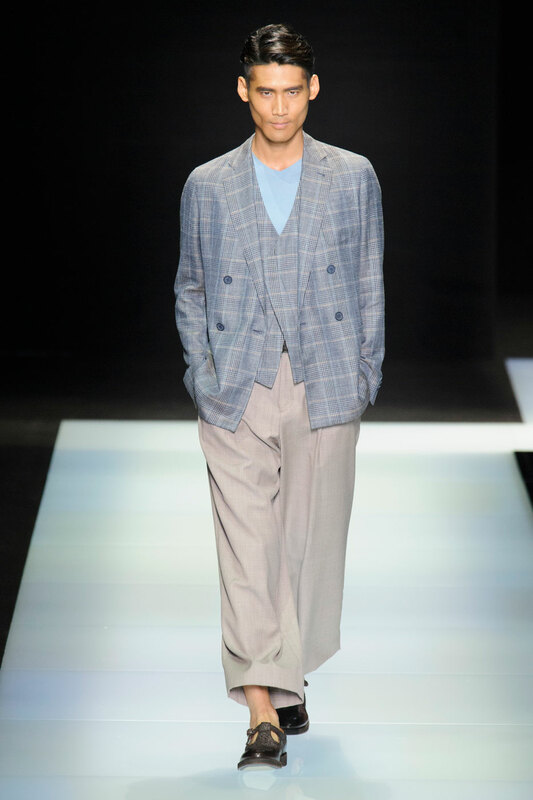 Italy’s most renowned designer takes to the stage with his iconic clean-cut menswear collection. 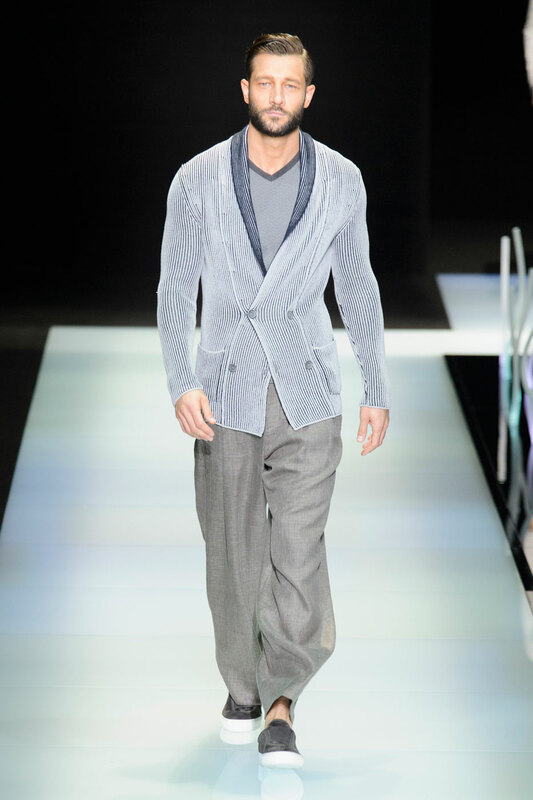 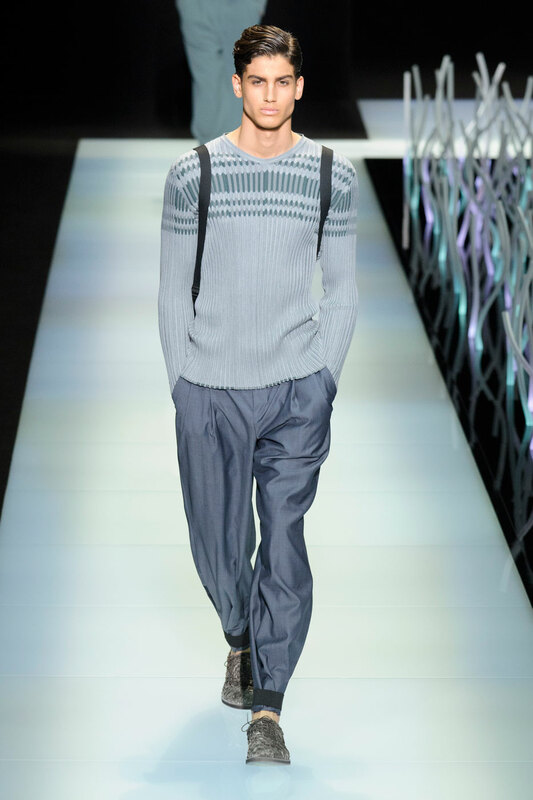 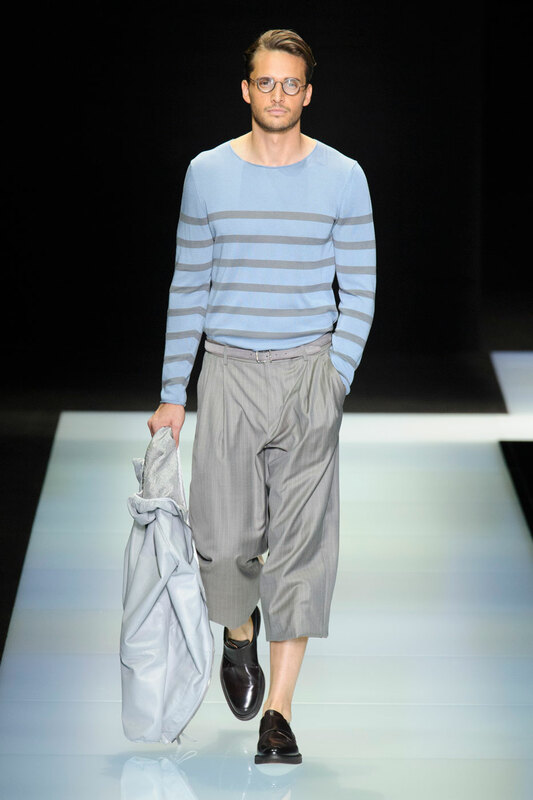 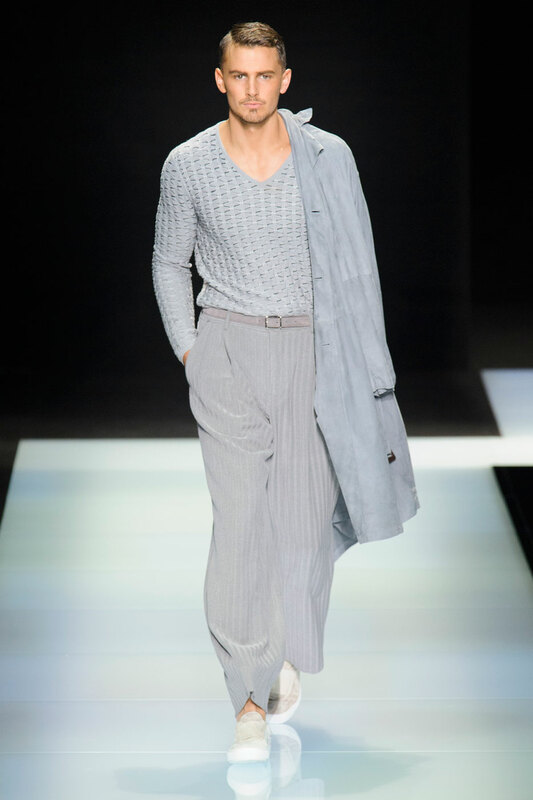 Inspired by the image of a dapper English gentleman and the refined elegance of the ‘everyday man’ , Giorgio Armani has professed his dislike of ‘important clothes’ choosing simpler but clean tailored lines that are synonymous with the Italian brand. 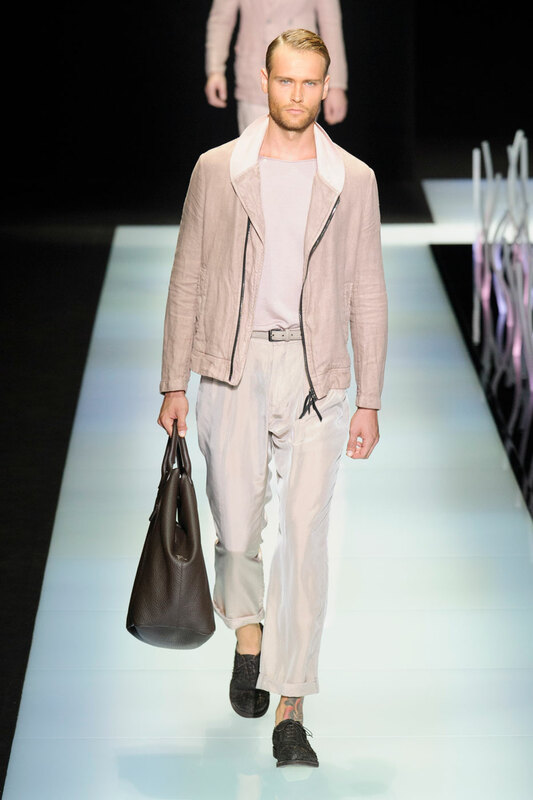 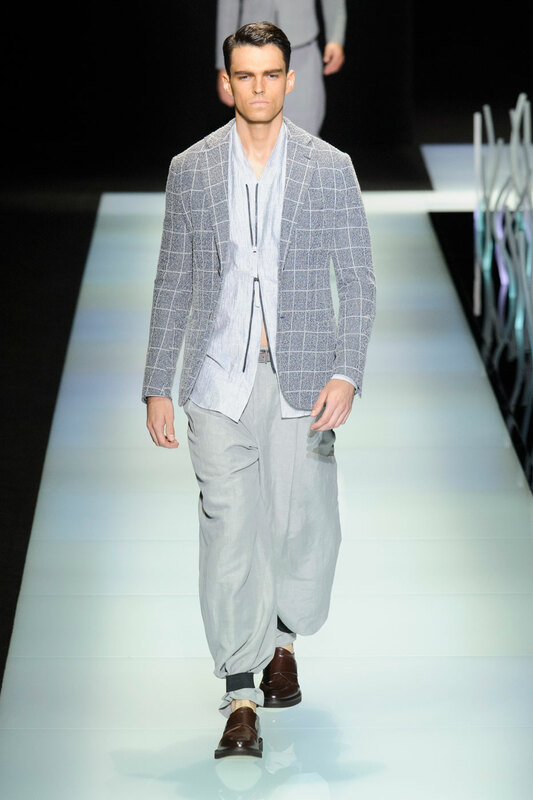 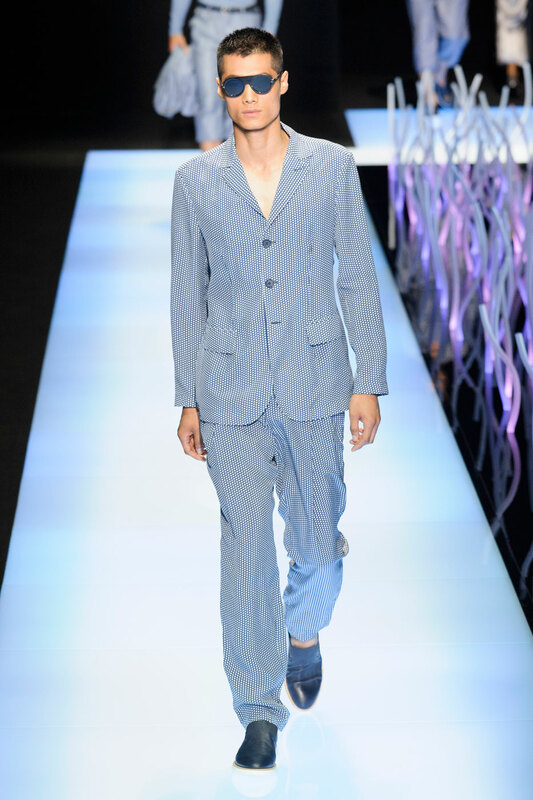 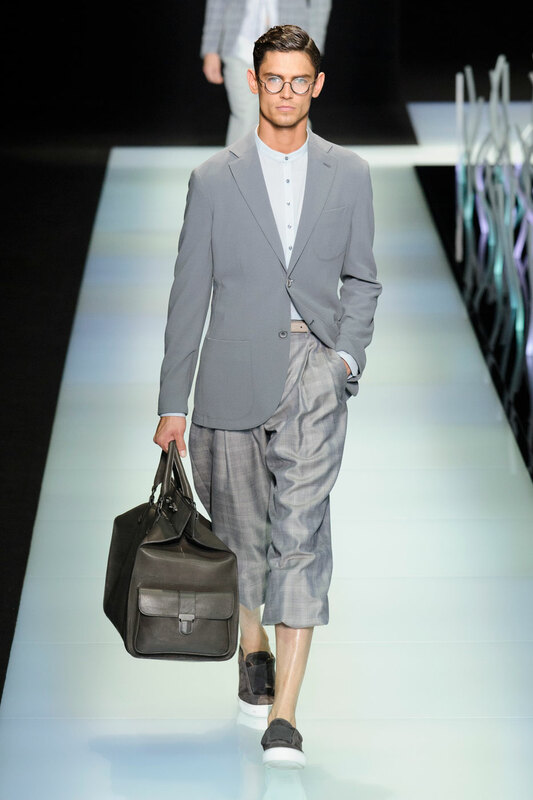 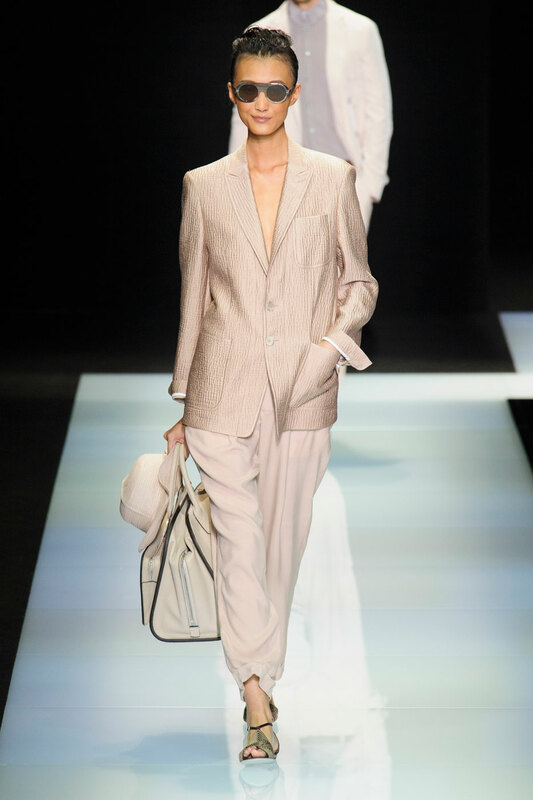 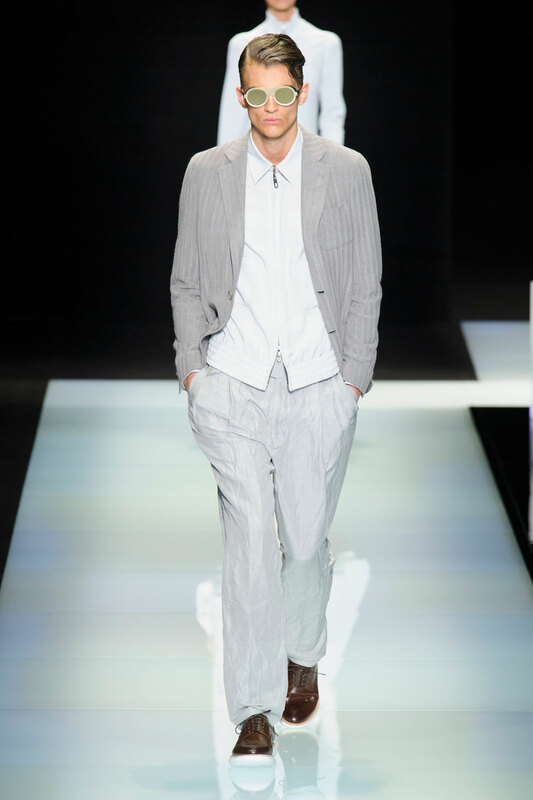 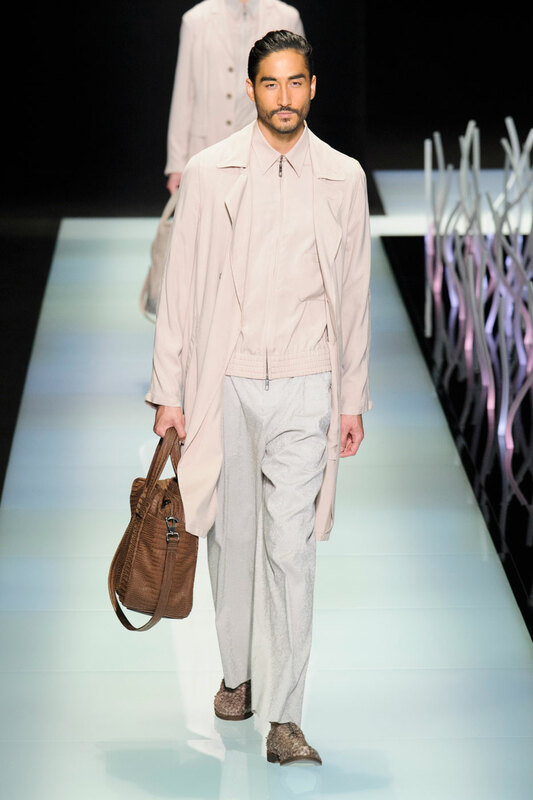 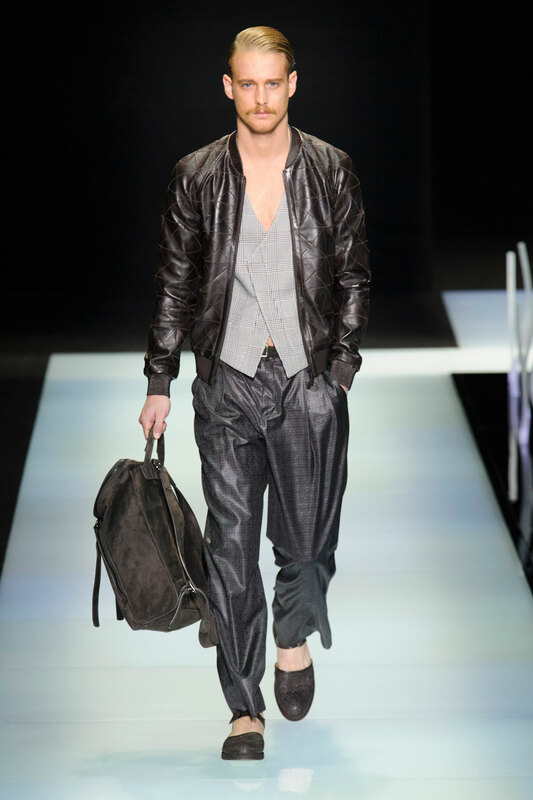 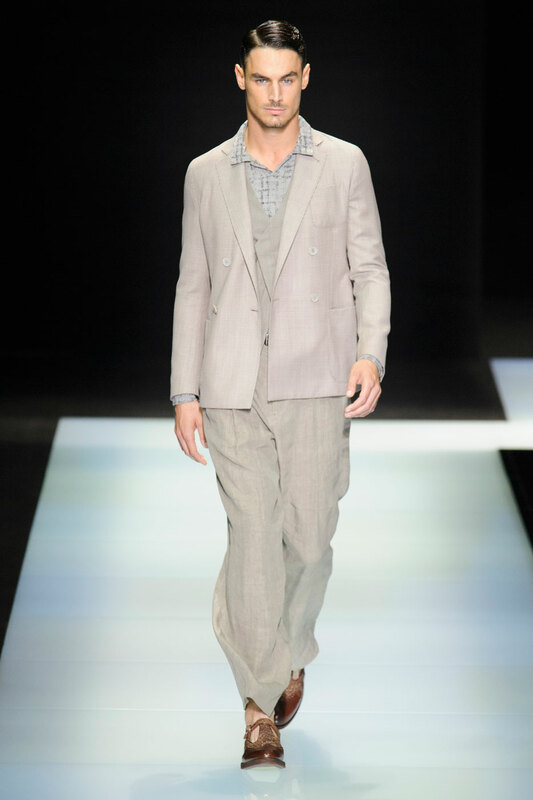 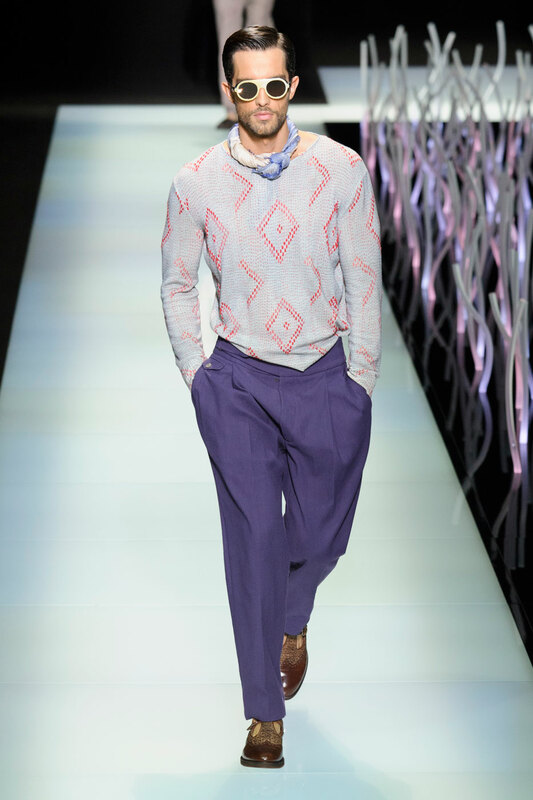 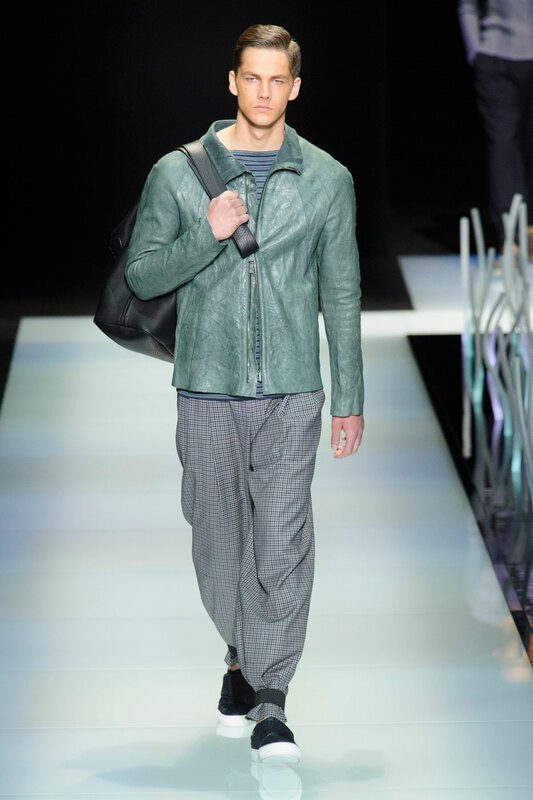 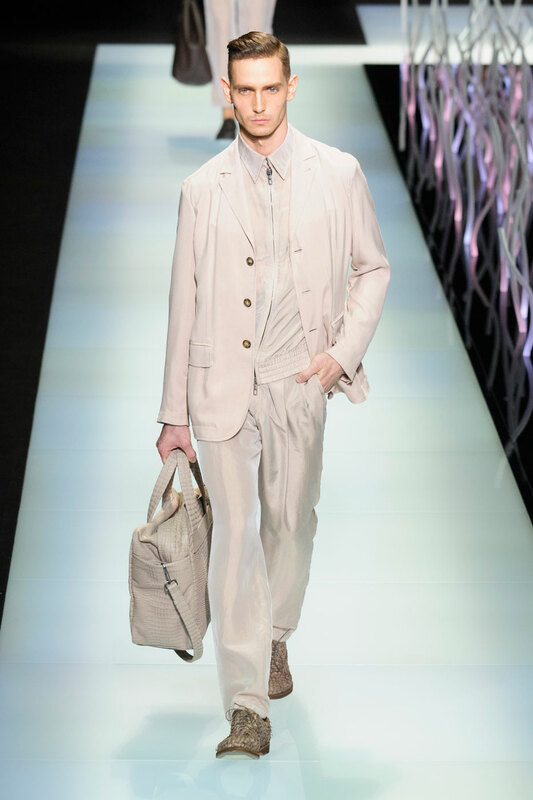 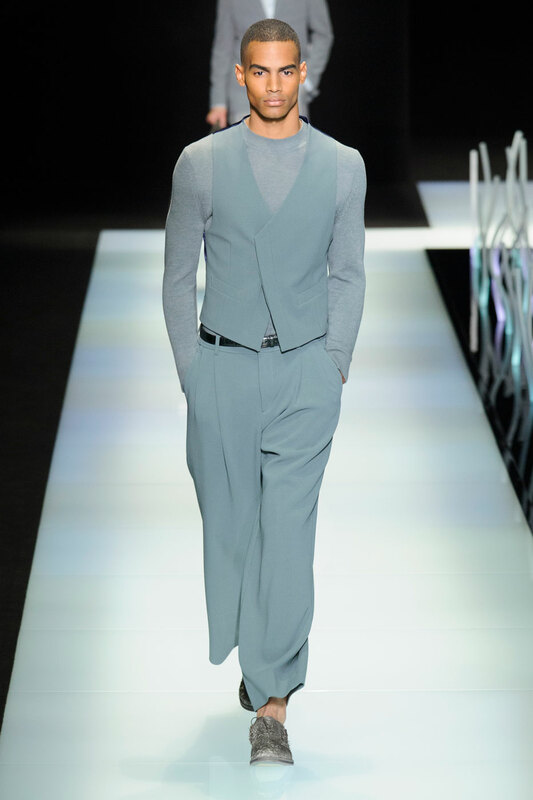 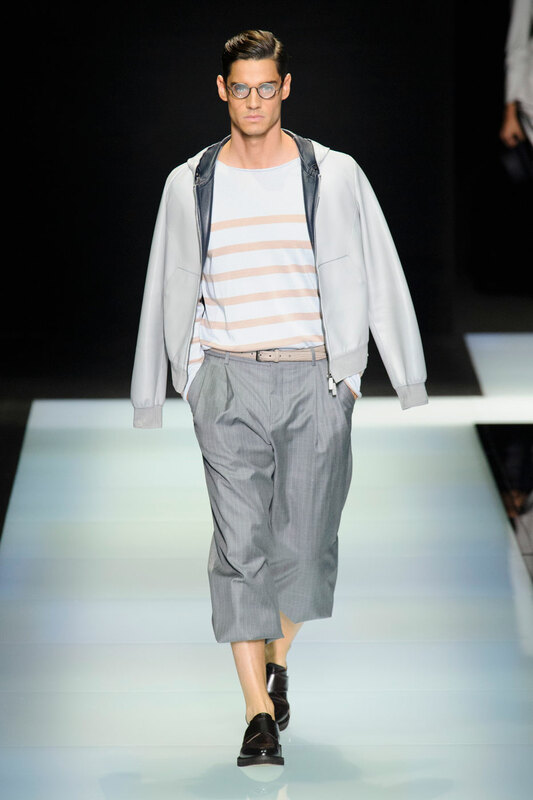 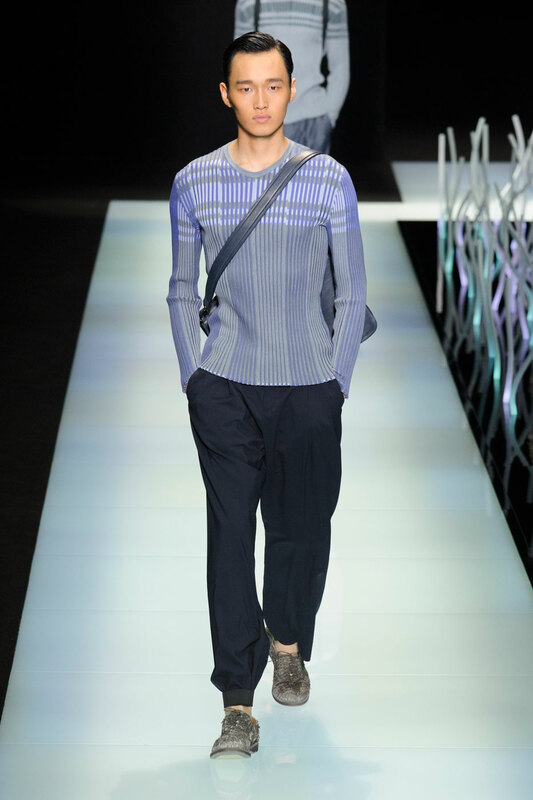 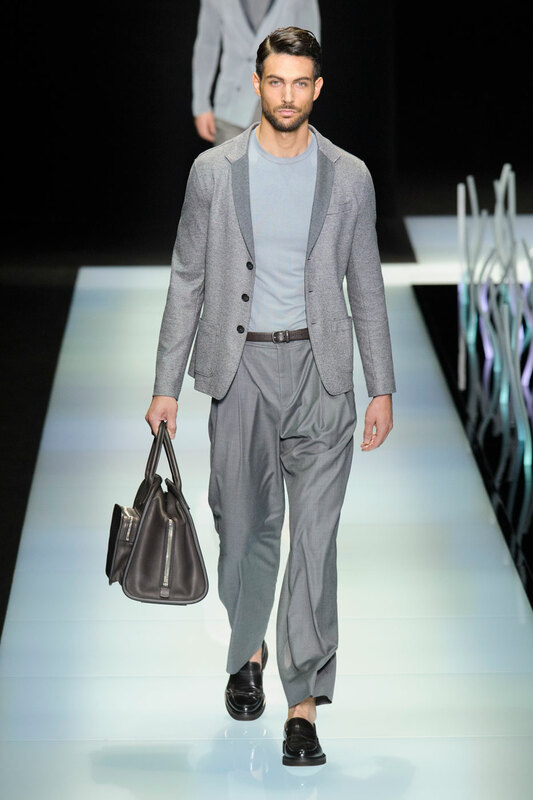 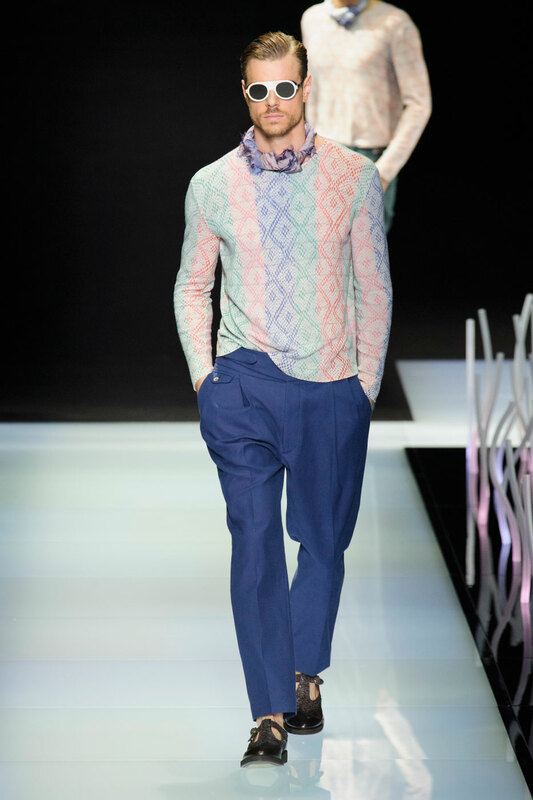 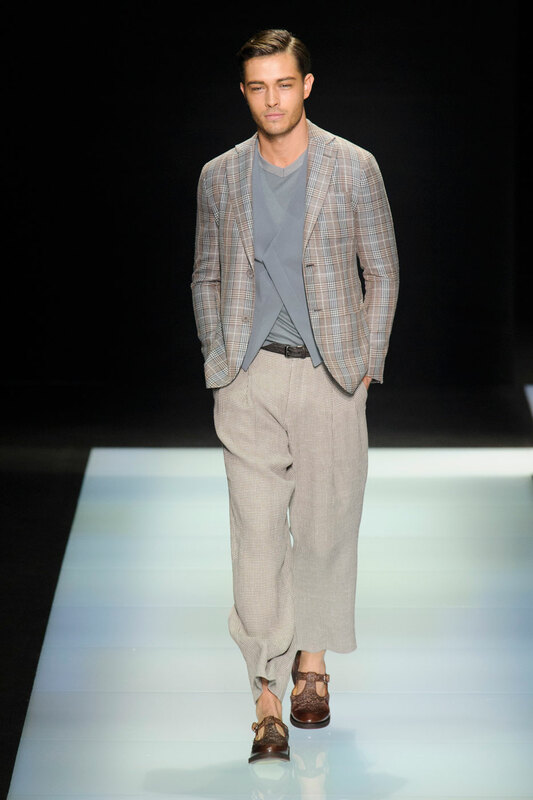 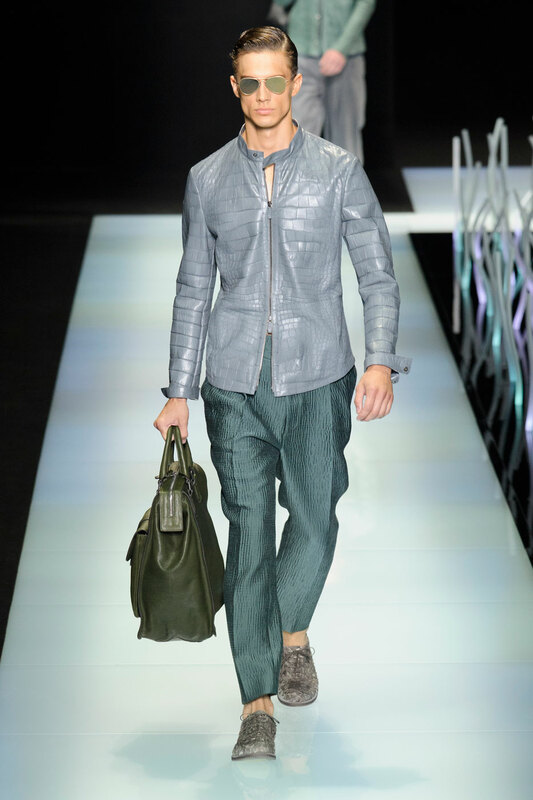 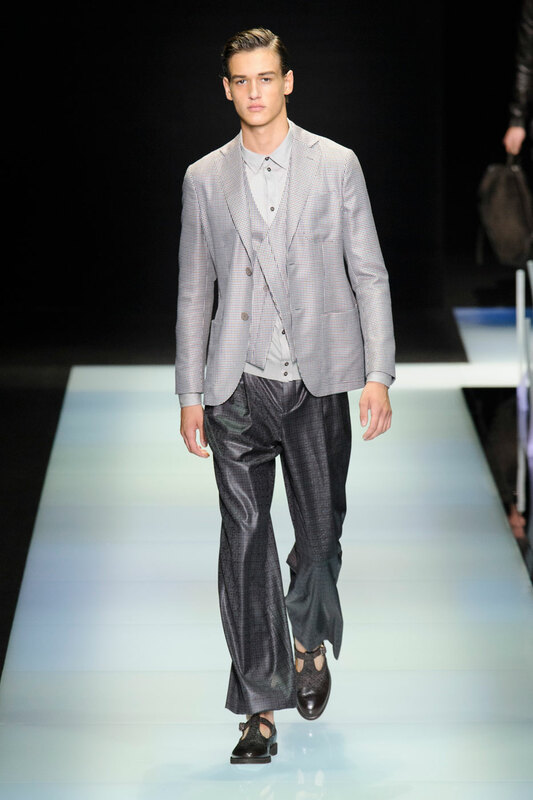 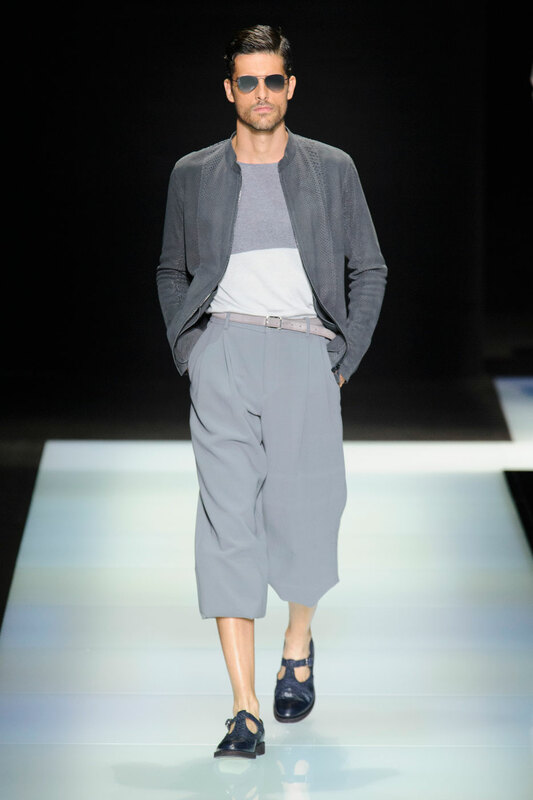 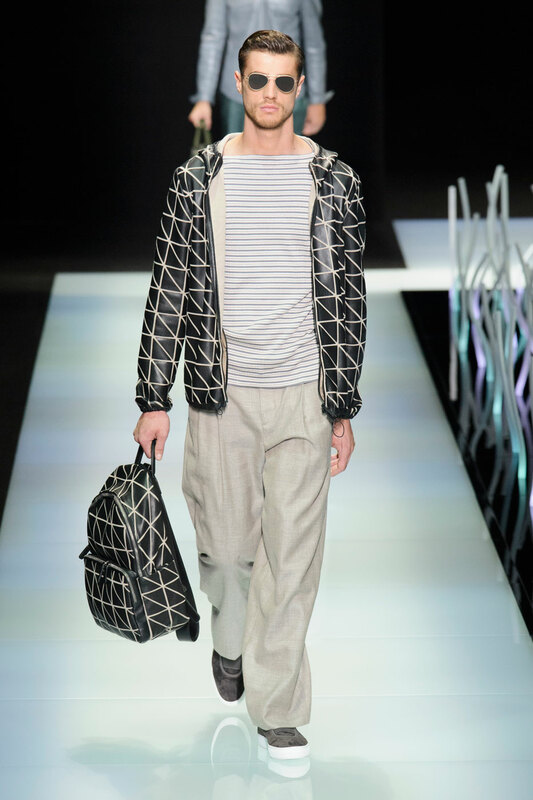 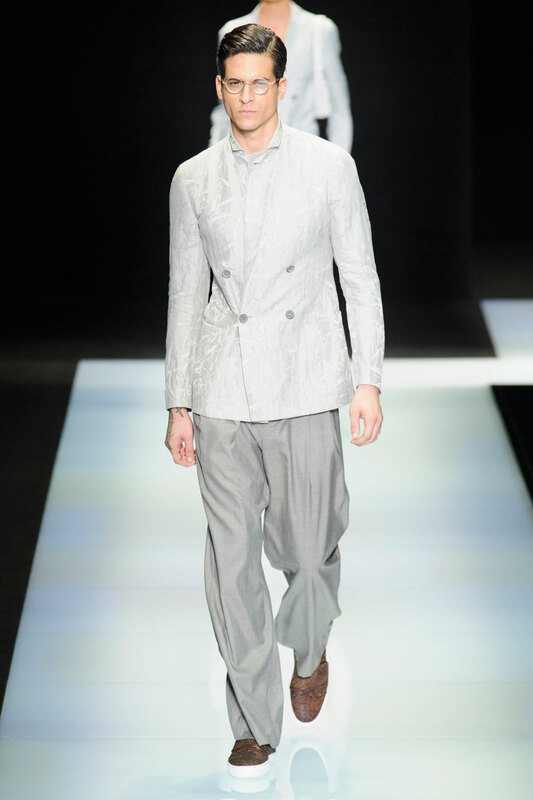 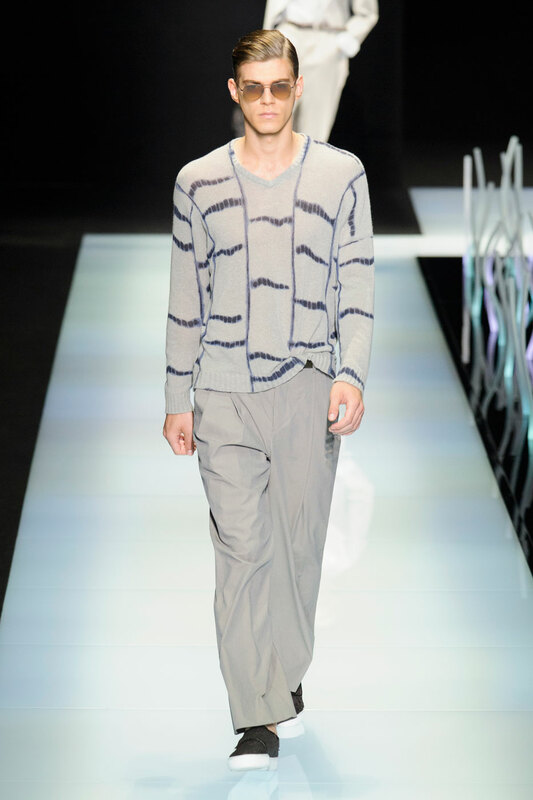 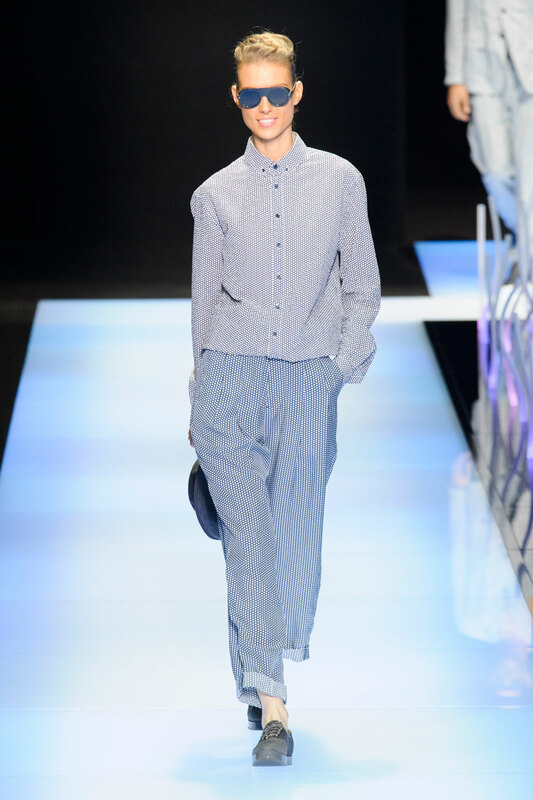 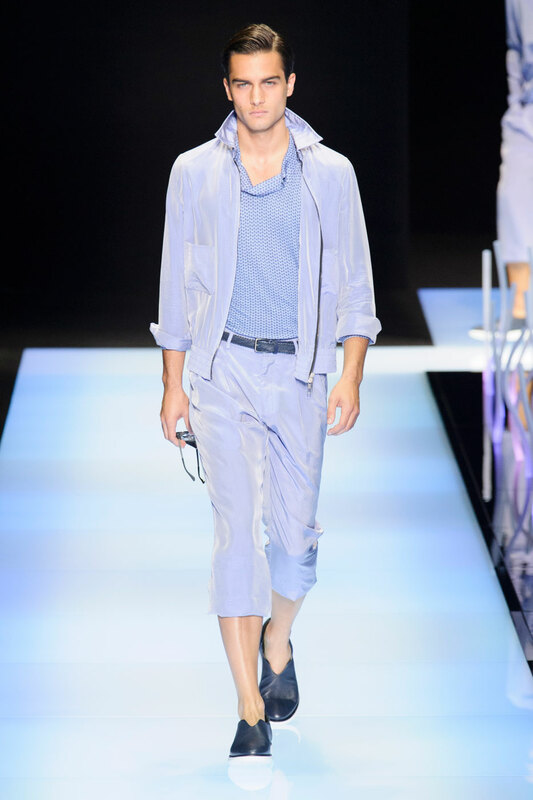 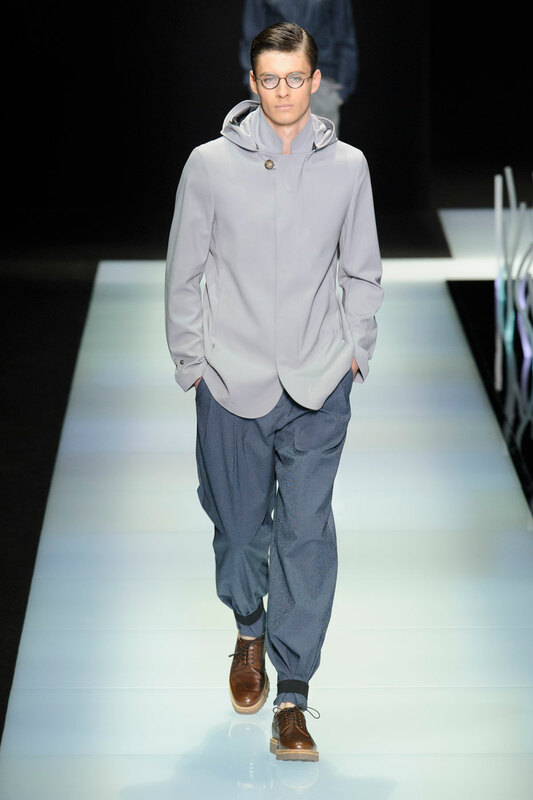 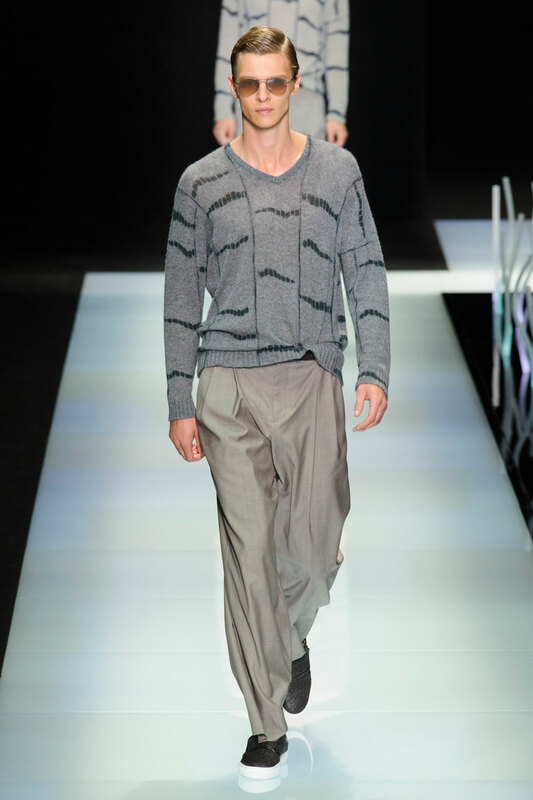 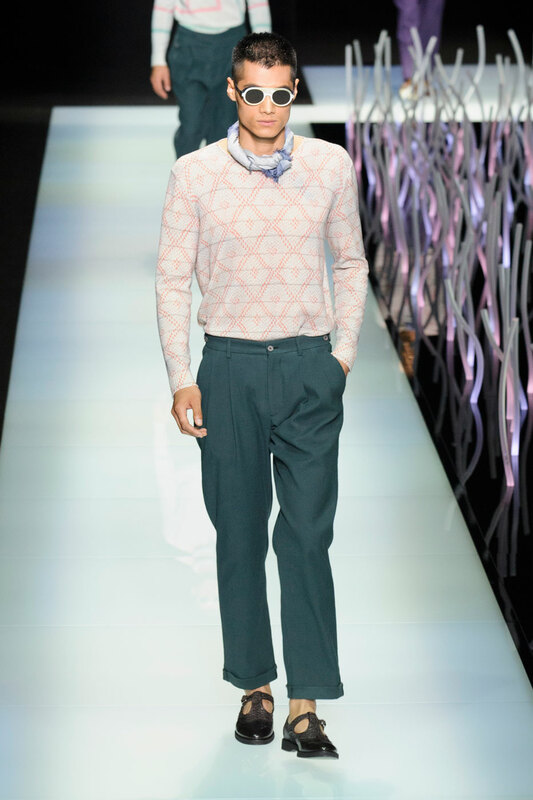 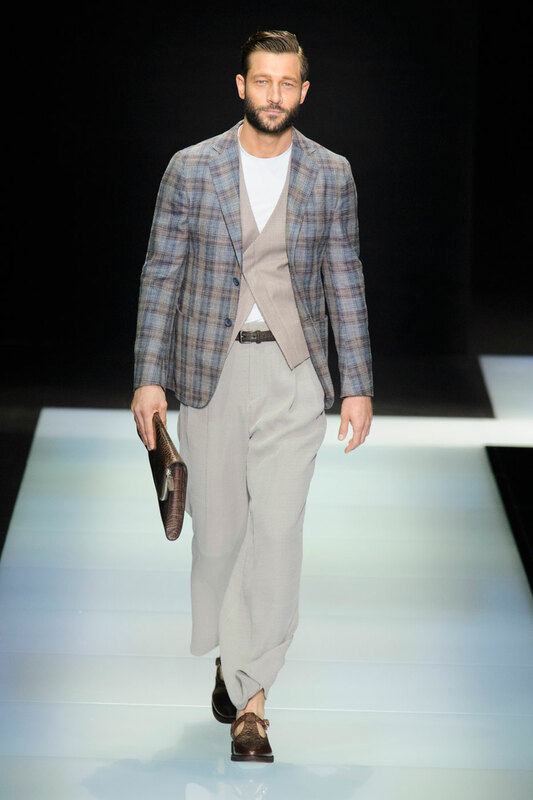 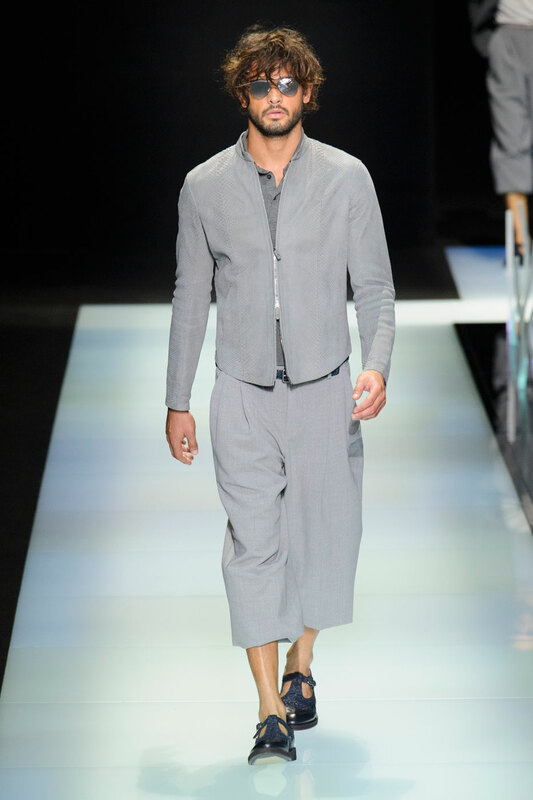 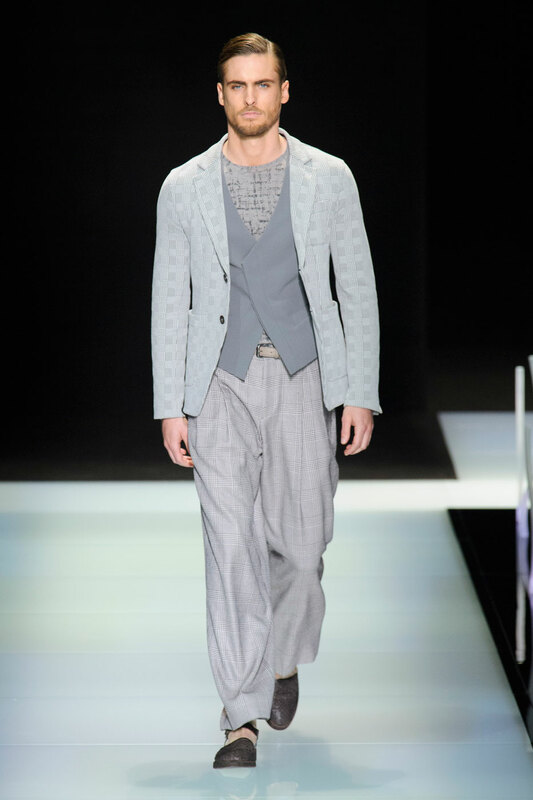 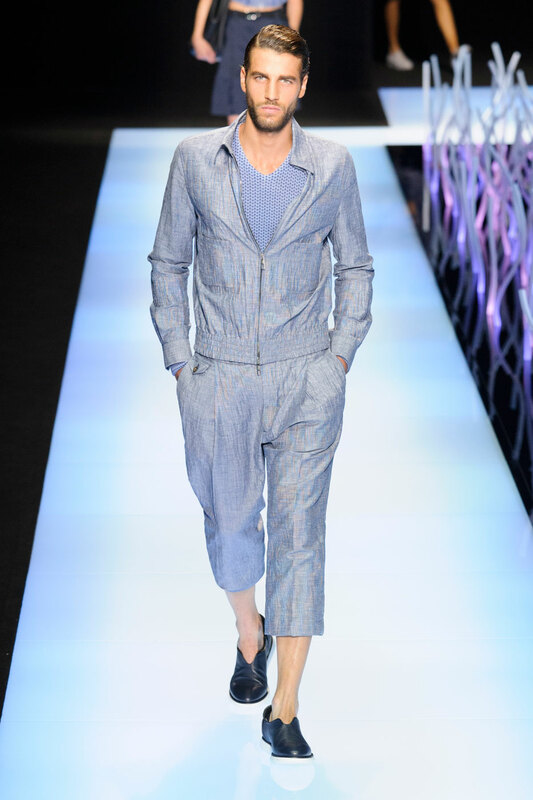 Much like his SS/ 15 collection , Giorgio Armani has aimed for aesthetic practicality, favoring simpler and more practical versions of the eighties power suit . 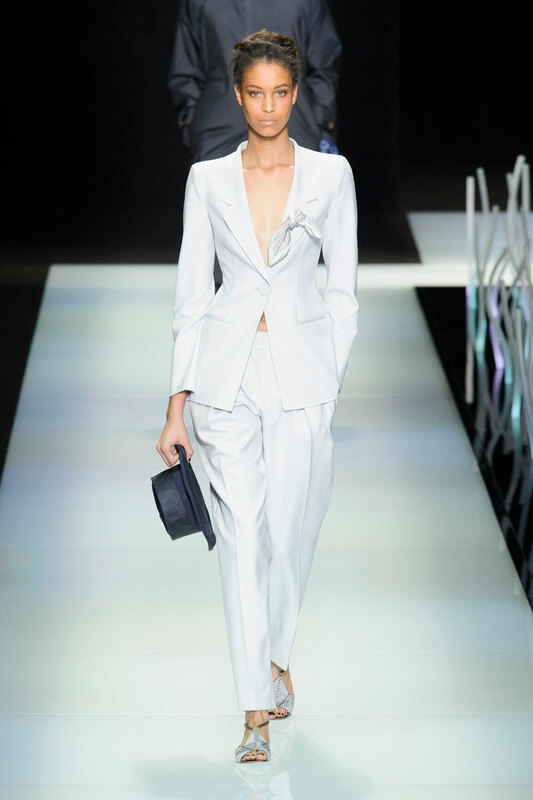 A big believer in less is more , each suit or culotte set is well proportioned , enhanced by the minimal simplicity of round white rim glasses that add a touch of geek chic to the tailored styling. 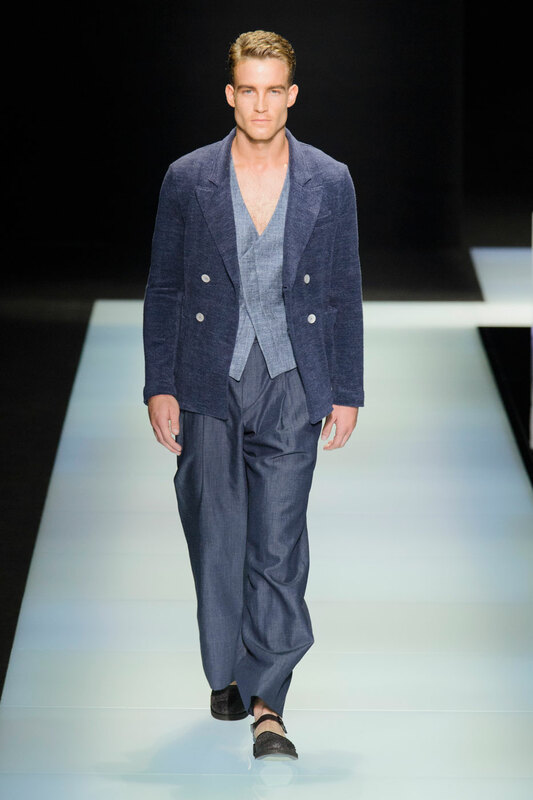 The palate uses softer blues to poetize the European romanticism of the eponymous collection and pays attention to the smaller details that accentuate the tailored genius of each outfit.